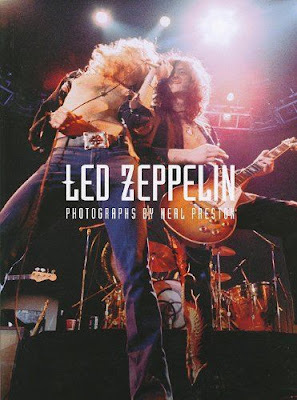 Interspersed throughout the photos is an interview conducted by KLOS-FM Los Angeles radio host Cynthia Fox, in which Preston reflects upon his experiences, adding context to certain images while explaining the scope of his responsibilities at the time. 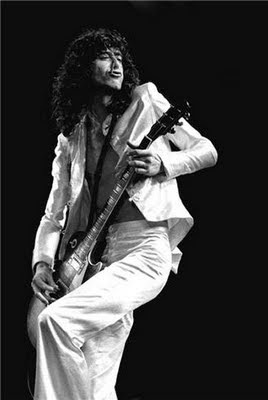 In short, he didn’t merely snap pictures for a couple of hours at whatever venue Zeppelin had landed in on any given night.In looking at the live shots, in particular—be it one of Page shredding a double-neck or of all four musicians working in synergy—you can feel the music. In other words, Preston captures a spirit as well as his subjects, compelling you to envision bearing witness to “Achilles Last Stand” at Chicago Stadium in ’77 or “Since I’ve Been Loving You” at Madison Square Garden in ’70. Complementing the concert photographs are select portraits and behind-the-scenes snapshots that reveal a bit of innocence behind the band’s menacing enigma. It’s especially evident in shots like that of Bonham napping on board the Starship (Zep’s private jet) or of Plant walking arm in arm with his young daughter, Carmen, backstage at Knebworth. Any depictions of the band’s notorious debauchery are kept to a minimum—a candid shot of Jimmy Page swigging from a bottle of Jack is about as salacious as it gets here—but it should be emphasized that Preston was employed by and under close scrutiny of the band and Peter Grant, Zeppelin’s imperious manager. Ultimately, any potentially compromising or unflattering shots (especially with promiscuous girls or illicit substances and paraphernalia) would’ve likely been canned back when they were developed—if not sooner. What Neal Preston so strikingly achieves with this collection is to reflect Led Zeppelin in ways that live up to—and in many cases, enrich—the band’s larger-than-life reputation while not compromising the integrity of his own work as a professional photographer.